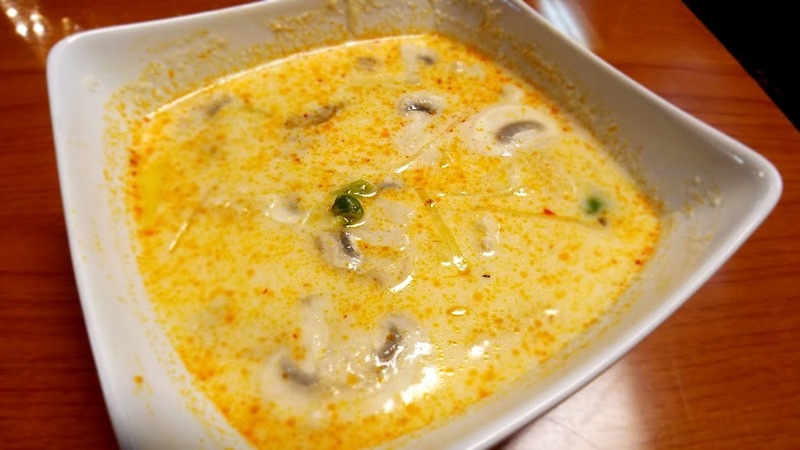 On a cold, gloomy mid-afternoon I asked Google to find me a Thai Restaurant close to me, and in its infinite wisdom, I was guided to Noom Thai Bistro and a brilliant choice it was. Located in one of the many strip malls that line Baymeadows road, it would have been difficult to find had it not been for the ever accurate Google. It was well worth the journey. The owners, Hank and Dee, a delightful couple gladly shared their story of how they arrived at Noom and all the reasons they took this path. I have my favorites when I eat Thai food and tend to stick to them unless I see something that peaks my interest, I stuck with the usual today. My first choice the Tomkha (Coconut Milk Soup) with chicken my all-time favorite among the Thai Soups and 4.5 out of 5 on the heat scale. Although not as creamy as I would have liked the flavors were so reliable, I could not help but think this is the soup! I was able to identify the lemongrass, galangal, cilantro and Kaffir Lime leaf. Many restaurants substitute ginger for the galangal, but the difference in flavor is very noticeable. After I devoured all the goodies in the bowl, I shamelessly drank the broth. 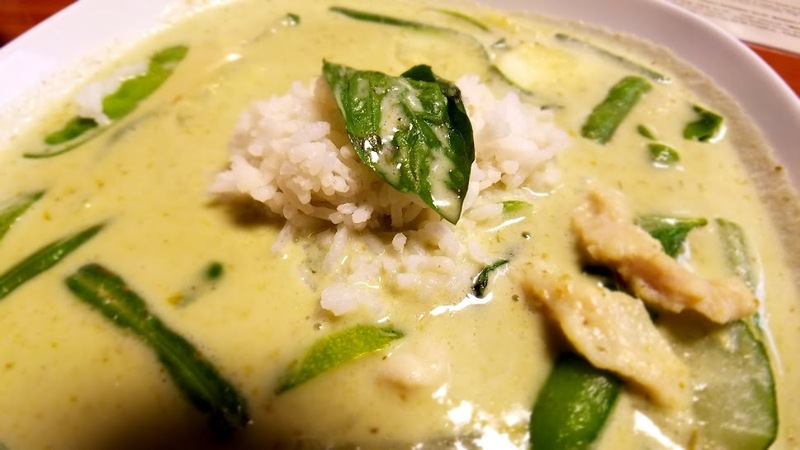 Trying to keep the heat going I paired the soup with a spicy and smoothe Thai Green Curry with Chicken. 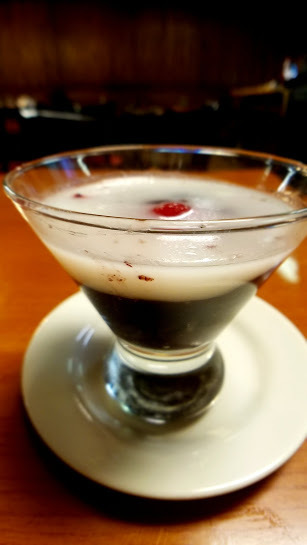 Once again I was overcome with the balance of flavors, well blended and easily identified with each bite. Both the potatoes and green beans were al dente and stood out proudly in the soup, the addition of several spoons full of rice pulled the dish together. I managed to finish off with I dessert I have not experienced before; Black Rice Pudding, it was one OMG moment. 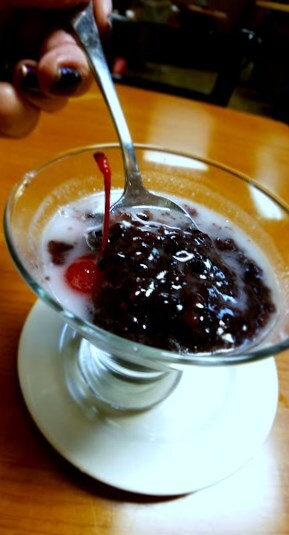 Warm, creamy rice layered with sweet coconut milk and topped with a plump red cherry, This so far surpassed my usual choice Mango and Sticky Rice. Black Rice, my new favorite dessert. So I must encourage you to make the trip. Hit up Google maps and take the journey, If you are fortunate as I was perhaps Hank and Dee would share their story.